Looking for somewhere for your summer BBQ? Northern Cobblestone can help turn small unusable areas into attractive spaces to spend time in. Does your business have a courtyard you'd like to make better use of? Pattern Imprinted Concrete (PIC) is ideal for commercial applications such as outside eating areas for pubs, cafes and restaurants or relaxation areas for offices. No Sinking - Over time, as the ground settles or trees make their presence known, tarmac and block paving are prone to sinking or rippling. As PIC forms a solid base with fibre-mesh reinforcement, there is very little risk of this. 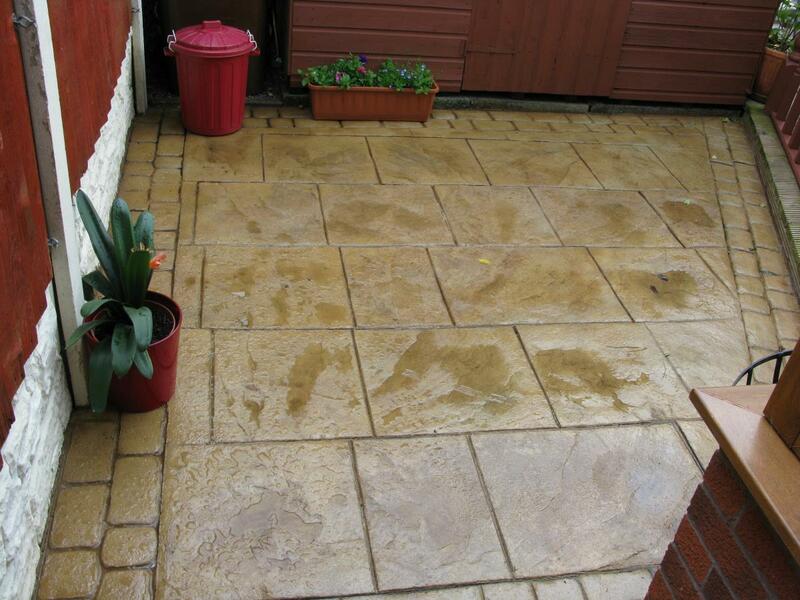 No Weeds - The gaps within traditional block paving and indian stone attract moss and weeds, requiring regular treatment. With nowhere for weeds to get a foothold, PIC can be kept weed free with just a simple brush and / or wash with a hose pipe or pressure washer. .
Low Maintenance - As above, PIC is ideal for residential properties leaving you with more free time to enjoy your outside space and perfect for business premises as it offers lower ongoing overheads than other solutions. It is easy to sweep and clean, making it a good choice for food premises. Authentic Look and Feel - PIC can be coloured and textured to resemble other more expensive materials such as brick, cobblestone, slate, granite, flagstone, tile or even wood. 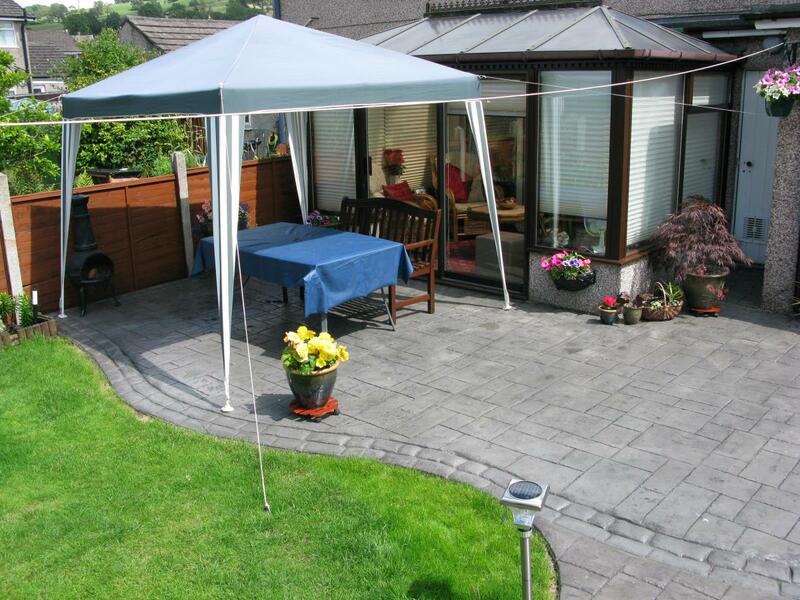 Wealth of Choice - With an endless combination of colours, styles and patterns to choose from, your outside area will transformed into an eye-catching and pleasing place to while away the hours. Added Style / Features - Add a touch of class with embedded LED uplighting or any other features you can think of. 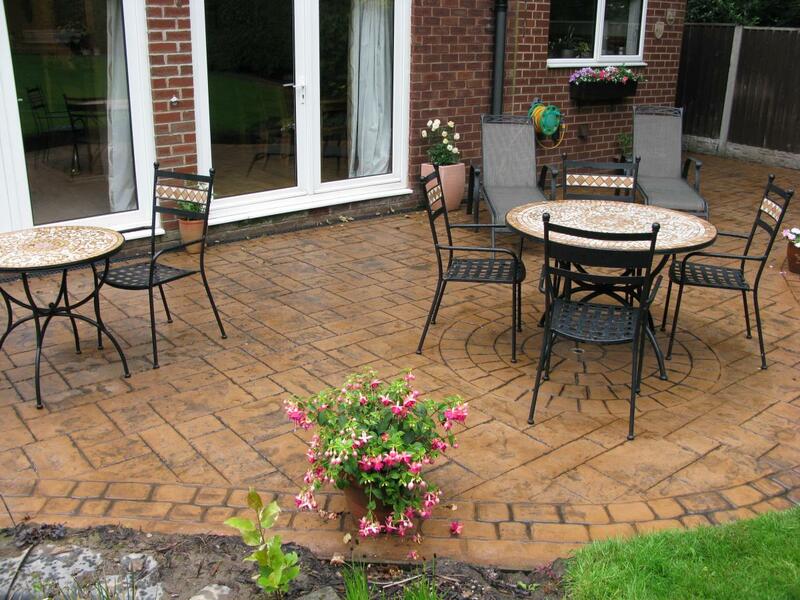 For examples of our pattern imprinted concrete Patios, have a look through our Photo Gallery. References from previous customers are also available on our Testimonials page. Our pattern imprinted concrete Patios are supplied in a wealth of colours, patterns and styles all of which can be mixed and matched to create a totally unique solution for your property or business premises. 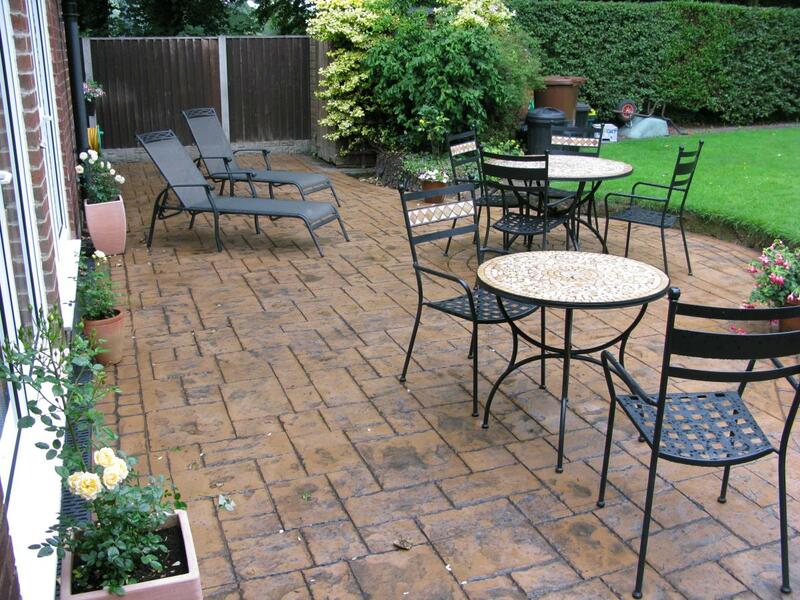 If there's any other work you're considering as part of your Patio project, please let us know and we'll provide you with a quotation if we can.